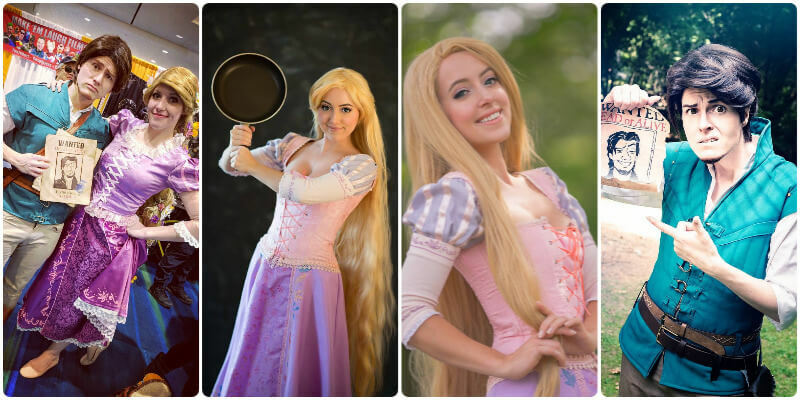 If you were a big fan of the fairy tale Rapunzel, then you are also likely a fan of the animated movie Tangled. It is a Walt Disney movie that is loosely based on the classic fairy tale. The story centers on Rapunzel, a young princess with magical blonde hair that was abducted was kept her entire life in a secluded tower. She was able to leave the tower and explore the outside world with the help of a thief named Flynn Rider. 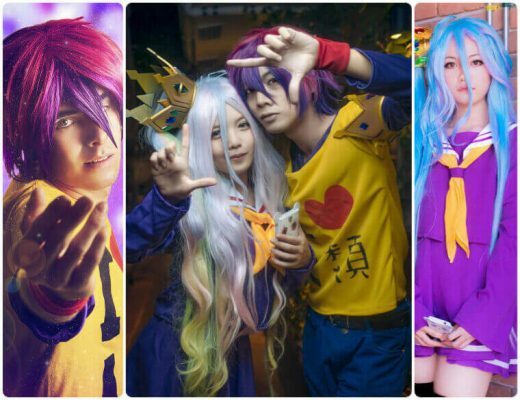 These two are the main characters of the animated movie and are likely the most popular choice for cosplaying characters in this movie. Princess Rapunzel is like your typical Disney princess in that she is spirited, determined and looking to experience the outside world. Just like a typical princess, her main outfit is a pink long dress but minus all of the glamour and luxuries usually associated with royalty since she spent a big part of the movie not knowing she is a princess. She also has a golden long hair, which has magical properties. Flynn Rider, on the other hand, looks like your typical Disney male protagonist that is not a prince. The outfit he wears represents his commoner status, as well as the look of someone who is always out for an adventure. Rapunzel of Tangled is just one of the many princesses that Disney have on their list. And like many of the princess they have, this character’s appearance would have to reflect a beautiful looking princess that is also spirited ready for adventure. 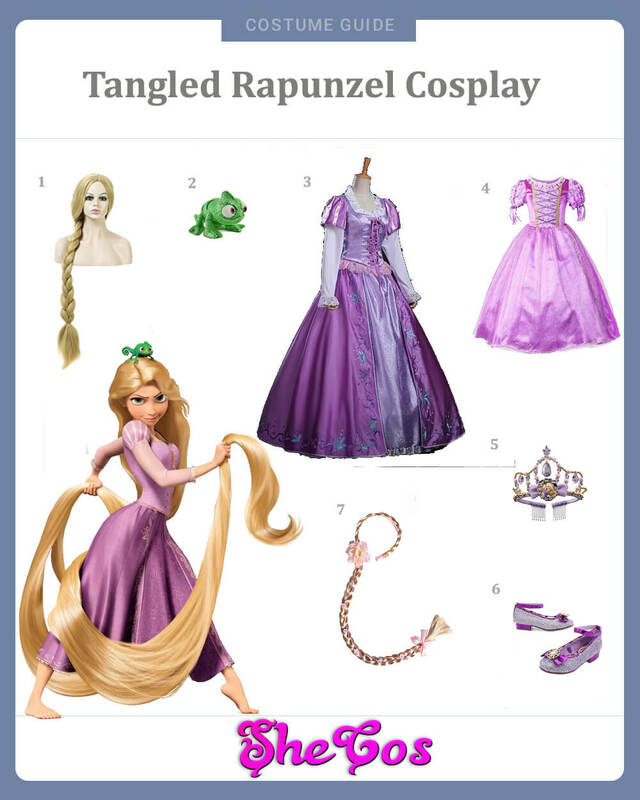 For Rapunzel, this can be seen in her overall appearance. Her costume set would include a pink top with a long purple skirt. Since she is looking for adventure and was not really a princess at the start, there’s no need to wear any shoes. For the accessory, it will include a long blonde wig, which is the character’s magical hair. The beauty of this costume set is that it also includes a set for kids so you can dress up with your daughter or niece. The set includes a pink dress, a tiara, and shoes, which is Rapunzel’s outfit after she was discovered to be the missing princess. Accessories would include a ponytail wig and a mini Pascal bean bag plush. 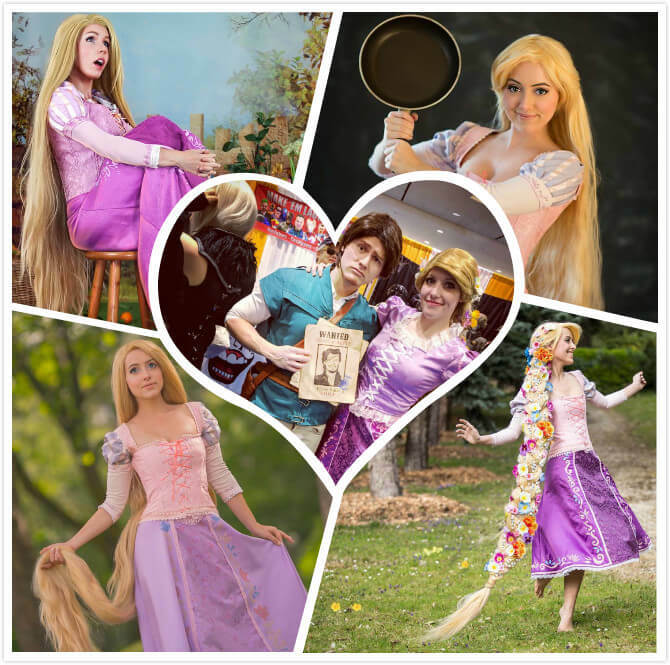 Rapunzel is another Disney princess that you can choose to dress up in. But unlike the princesses, the unique thing about this character is her hair. Though her costume looks good represents her adventurous spirit the long golden hair is what identifies the character. She also doesn’t really carry any sort of accessory or item that really defines her, except for the frying pan as her choice of weapon, so her hair will be the most important part of the costume. 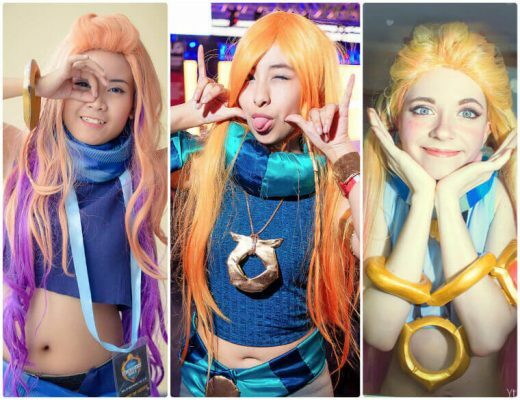 If you look at the cosplay photos, you can see that her long golden hair is what is setting her apart from the other princess. You won’t necessarily need to have a very long her to make the costume work since there are moments where Rapunzel was just sporting a normal long hair. But having really long hair with a length that can reach the ground will really be something and makes this costume perfect. Flynn Rider or Eugene Fitzherbert joins the long list of male heroes that is being partnered with their list princesses. And just like all of Disney’s male protagonists, which are either a prince or a commoner/criminal, Flynn is a good looking thief that is charming and looks confident but has a sad backstory to explain why he has this kind of personality and life. 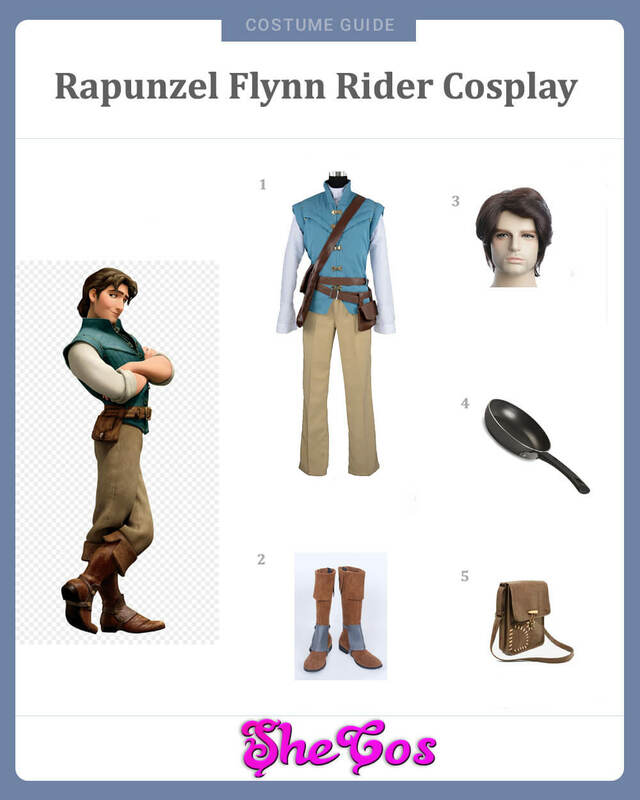 For Flynn’s costume set, it reflects his adventurous and outgoing lifestyle. The costume set will be including light brown pants, white long sleeve shirt, and a sleeveless blue vest. The look is completed with brown boots that have a metal plate. For the accessories, the set also comes with a short wig to match Fylnn’s hairstyle, a small brown sling bag to put your important items, and a frying pan that Rapunzel used to hit Flynn when he stumbled upon the tower and met the princess for the first time. 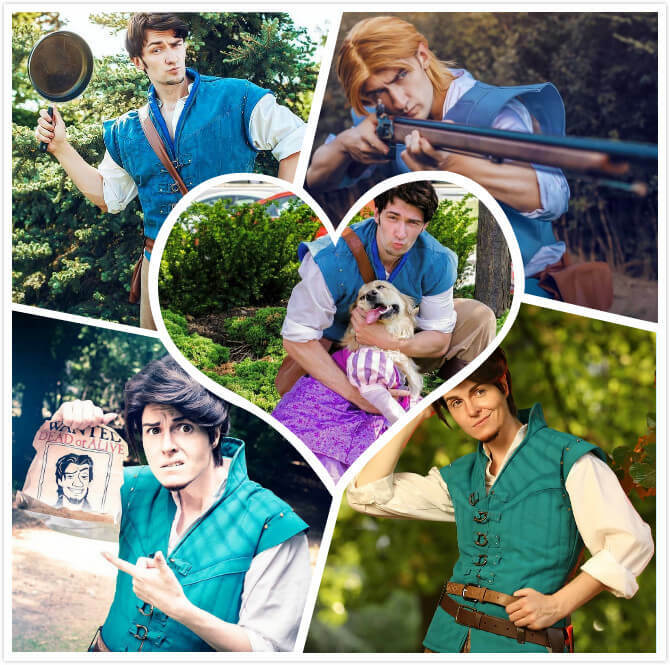 Flynn Rider is one of the male protagonists from Disney that you can cosplay in and can be a good choice if you are cosplaying with a partner as she can go as Rapunzel. One of the most unique things about this character is that he likes to raise one of his eyebrows and pair it with a killer smile to showcase his confidence and dashing look. This look actually represents perfectly his status as a thief and an adventurer. His outfit is also a good representation of his outgoing and adventurous nature. Looking at the cosplay photos, you can see that this costume goes perfectly well if it is worn outdoors with the trees, the grass, and the sunlight as a background. The outdoors really brings out the beauty of this costume, and just pair it up with a rifle or Rapunzel’s frying pan, and you already achieved Flynn’s look.